This new textbook provides students with a comprehensive and accessible introduction to the subject of security studies, with a strong emphasis on the use of case studies. In addition to presenting the major theoretical perspectives, the book examines a range of important and controversial topics in modern debates, covering both traditional military and non-military security issues, such as proliferation, humanitarian intervention, food security and environmental security. Unlike most standard textbooks, the volume also offers a wide range of case studies – including chapters on the USA, China, the Middle East, Russia, Africa, the Arctic, the Middle East, Europe and Latin America – providing detailed analyses of important global security issues. 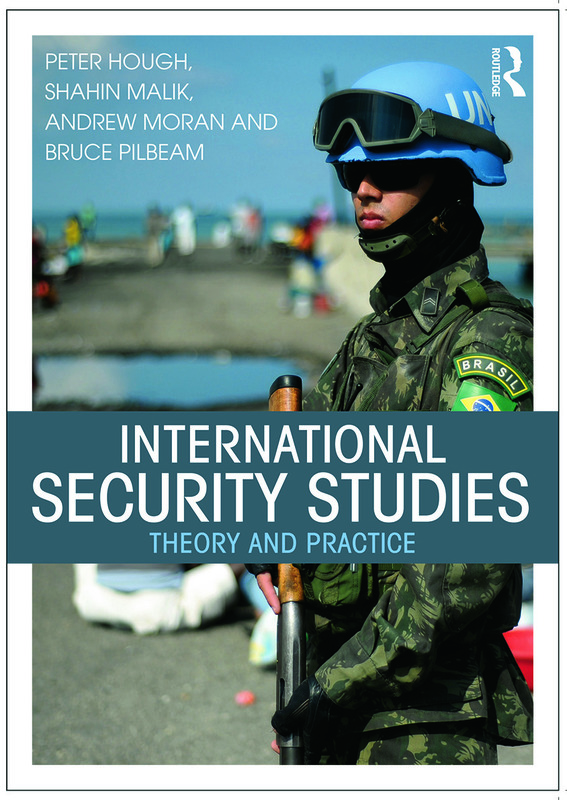 This textbook will be essential reading for all students of security studies and highly recommended for students of critical security studies, human security, peace and conflict studies, foreign policy and International Relations in general. Peter Hough is Associate Professor in International Politics at Middlesex University, and author of The Global Politics of Pesticides (Earthscan 2008), Understanding Global Security (3rd edn, Routledge 2013), Environmental Security (Routledge 2014) and co-author of World Politics (2011). Shahin Malilk is Senior Lecturer in International Relations at London Metropolitan University and co-author of World Politics (2011), co-editor of Deconstructing and Reconstructing the Cold War (1999) and co-author of Peacekeeping and the United Nations (1995). Andrew Moran is Associate Professor of International Relations and a University Teaching Fellow at London Metropolitan University. Bruce Pilbeam is Senior Lecturer in Politics and International Relations at London Metropolitan University and author of Conservatism in Crisis? (2003).